CompanionLink has always synchronized Salesforce CRM Contacts and Accounts to mobile devices, Outlook, or any Google or Gmail account. Accounts show up on the device as a Contact record with the organization/company field mapped to the Account name in Salesforce CRM. 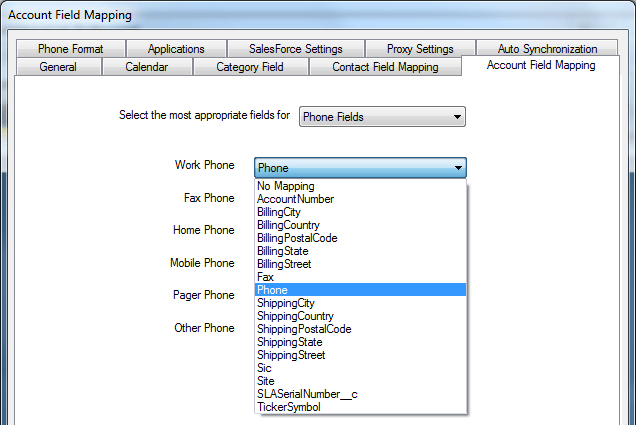 In CompanionLink Professional 5 build 5044 and later, we have expanded field-mapping options when synchronizing Accounts. We introduced a new tab in CompanionLink called Account Field Mapping that allows you to map any/all of your Salesforce CRM Account fields with your choice contact fields on the mobile device.